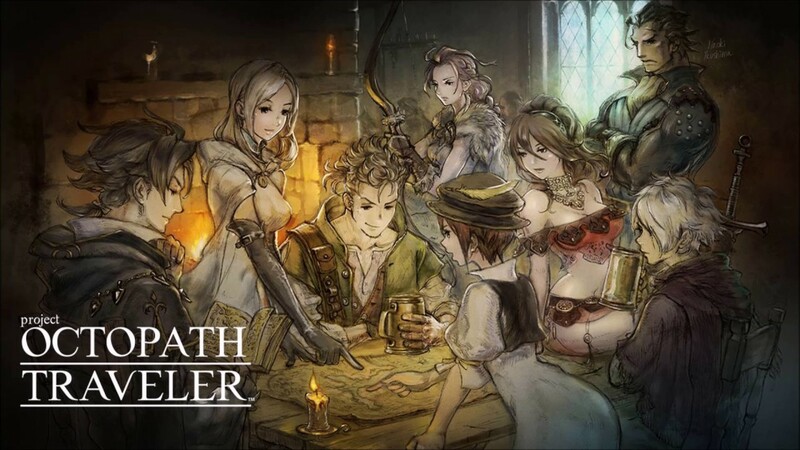 The hype for Octopath Traveler has been steadily rising over the last few weeks, and it is starting to reach fever pitch as we near the final week leading to its launch next Friday. But if you weren’t already on board with the gorgeous old school turn based JRPG by Square Enix, producer Masashi Takahashi’s comments to JeuxVideo (translated by ResetEra’s Lelouch0612), should get you adequately hyped. Takahashi noted that Octopath Traveler was literally developed to be a “spiritual successor” to Final Fantasy 6, much like how Bravely Default was meant to be the spiritual follow up to Final Fantasy 5. He noted that the game was meant to be for 30 and 40 year olds, who had grown up with JRPGs on the SNES, and that it was deemed to be perfect for the Switch because players would be able to play it for an hour or so in bed before going to sleep. “Nishiki-San and I are 33 years old,” Takahashi said. “We grew up with JRPGs [on] SNES, with the gameplay of the time and pixel art. When I got back to Square Enix, that’s what I wanted to do, but I was told straight away that it was much easier to make textured titles. I had to prove myself, and after years of work I was able to do what I wanted. According to Takahashi, the reception to the demos was overwhelmingly positive (the first one was downloaded over 1.5 million times)- which, along with how the game is tracking at retail right now, should indicate that it will perform exceptionally strongly once it does release. Octopath Traveler launches exclusively on the Nintendo Switch on July 13.